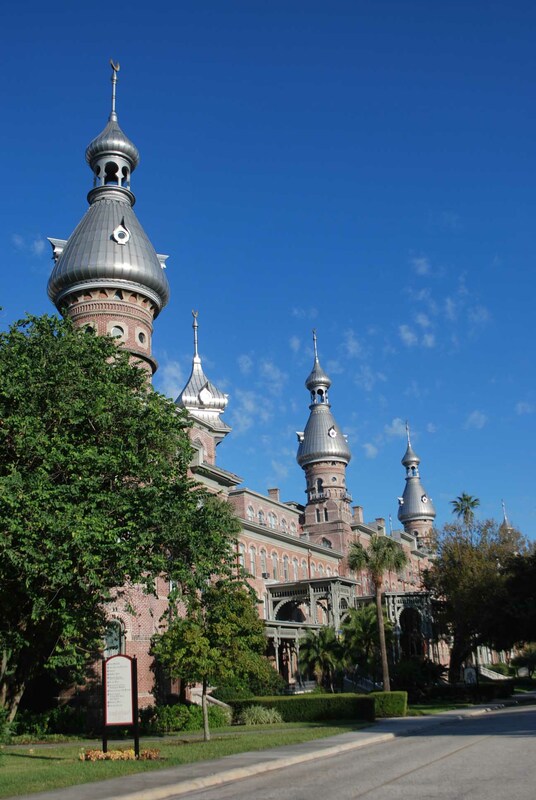 Shumake Architecture has been involved in the continual effort to restore and preserve the University of Tampa’s Plant Hall (formerly “Tampa Bay Hotel”). In 2014, we were given the task to survey the entire building to help with planned improvement projects for the building and to check for any deterioration or damage that needs attention. Built between 1988 and 1891 by railroad magnate Henry B. Plant, the building covers 6 acres and spans a quarter mile long. * It was one of the eight hotels built to anchor Mr. Plant’s rail line. However, the elite hotel was closed in 1930 as tourism suffered from the Great Depression. * Currently, the building is mainly used for classroom and administrative purposes, but the entire south wing houses the Henry B. Plant Museum. Our work started with the painstaking task of surveying the entire structure, starting from the basement. Structural problems were discovered from our survey, including the music room floor, which we re-designed in conjunction with the preservation committee. Our survey also made way for other work to be done, such as improving the mechanical system of the building. Portions of the building’s HVAC system had components designed for residential use, making them impractical for Plant Hall. Our redesign of the mechanical system made for a more energy efficient and permanent solution for the building. The task of preserving a historic building such as Plant Hall is not only important for the university, but also for the city of Tampa, which considers it one of its architectural crown jewels. We are proud to have been a part of this undertaking, and we hope to continue our great relationship with the University of Tampa for many more years to come.